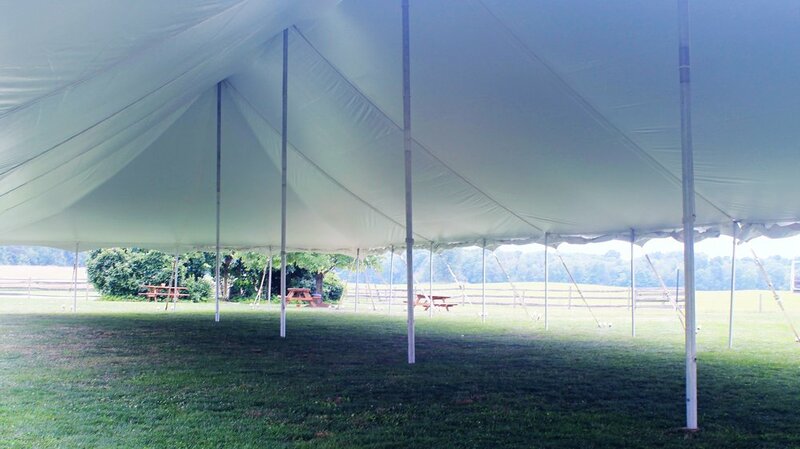 Our large pole tents make for an impressive event. Their elegant style is perfect for weddings, corporate or church events, and large gatherings. 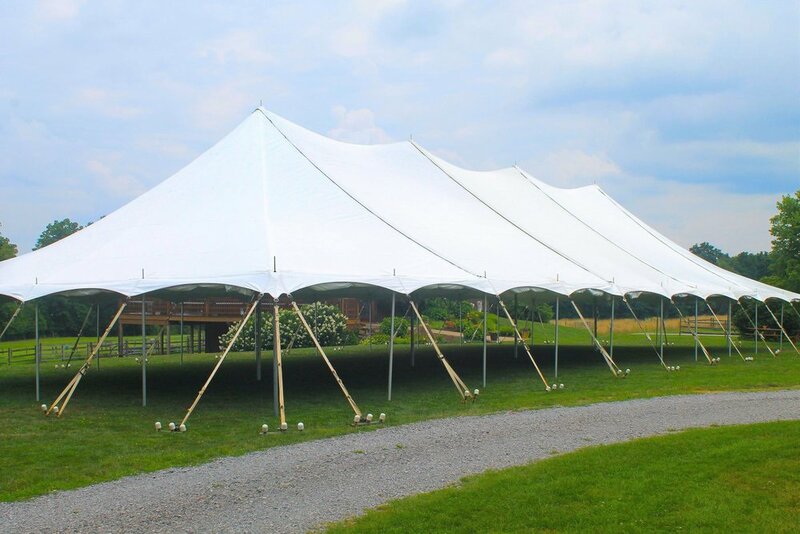 These large tents can accommodate up to 500 guests. Their high peaks reach 20 feet and can be beautifully accented with decorative lighting. 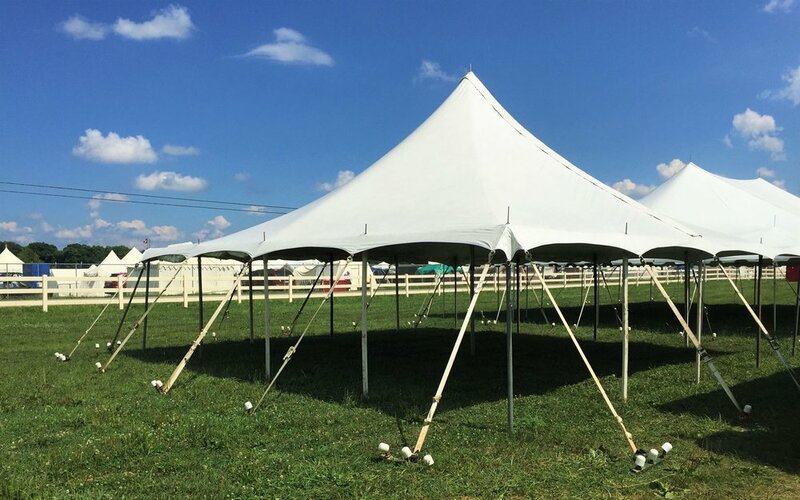 Unsure what size tent you need? 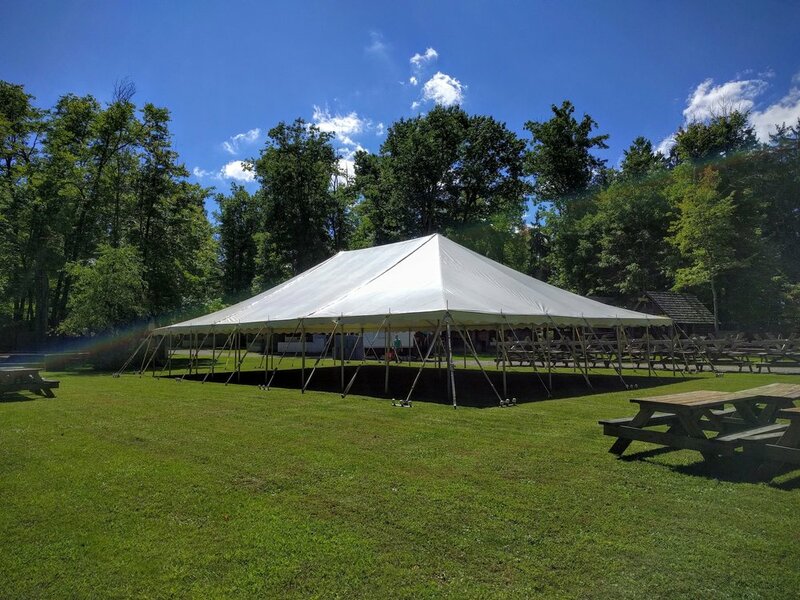 Give us a call and one of our Event Coordinators will help recommend a tent size and will provide you with a FREE CAD drawing of your event layout.